An ICP license is issued to the company. The ICP certification is issued for the internet contents, e.g. Domain name, APP, IP address, etc. What types of ICP certification you can request will depend on your Chinese company ICP license. There are different types of ICP depending if you are just publishing content, trading on-line or a data centre. Business internet content (this covers most content with some exceptions below). Banking, stock trading, auctions, payment, etc. This is just a summary, as at the date this paper was published. This website is only in Chinese. It can be viewed by using Chrome browser with the translate option switch on. Only a Chinese business can apply for ICP incense. A port number is a way to identify a specific process to which an internet or other network message is to be forwarded when it arrives at a server. The default for a domain name is port 80. To that end, you can test your internet content in mainland China on a different Port before you open the public Ports. This is what we call port mapping. Many internet services in China, including Access to China, offer this server through firewall. The certification is by domain name, APP, etc and Chinese IP address. Once certification has been issued you will need to add the certification number into the internet contents footer. The ICP information should have an active link to the Chinese government ICP website, e.g. The main number is your company ICP number. The end number is an individual number for each domain used by your Chinese company. If using sub domains, you only need one ICP certification for the main domain. This is how Alibaba and Tencent operate their B2B, B2C websites and social media using multiple sub domain. If there is a problem with the internet content the Chinese authorities will close the IP address. Therefore, shared IP address hosting in China is not recommended. To avoid your business internet presence being closed due to another company’s ICP problem if you are sharing an IP address. The first few times you add a domain to your Chinese company profile it is best to inform the ICP authorities first. They will normally respond with “let us know when the public ports are open and we will review”. Building up trust with the ICP authorities overtime helps greatly. ICP certification authorities in addition to the main points above will also confirm that your domain name is not in conflict with any brand names registered. If it is, you will be required to use a different domain in China. Another good reason to register your company brand in China at the outset. Another checks the authorities will make is to ensure your internet content matches the terms of your companies set up, e.g. if you have building material in your internet content then the terms of the company must say “Building Material”. If not, the Chinese authorities will ask for it to be removed or request a change in the terms of company trading. 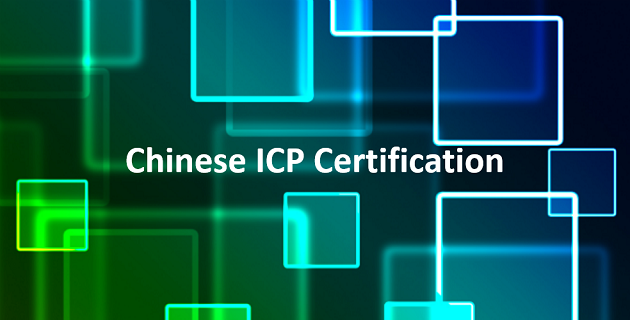 Do you need a Chinese ICP certificate? If you need an ICP certificate, you will need to create a Chinese company and apply for an ICP license and request an ICP certification for each web site you publish. Alternatively, arrange an agreement with a Chinese company with ICP licence and use their ICP certification. The issue with this approach is that the Chinese company with the ICP license is legally responsible for any and all internet content you publish within China. On-line trading running inside mainland China requires; Chinese payment system, local sales tax, company returns and company tax. If you are using a third part company in China for your ICP certificate they will need be responsible for these tasks. * If you are using a Chinese e-Mall service inside mainland China you will need a Chinese business. The Chinese e-Mail providers get around this problem by having overseas customers use their services in Hong Kong and then display the overseas products in the search results inside China. TMall call these products “trading without borders”. ** Chinese social media accounts can often be created from outside China. i.e. WeChat account. An overseas account has limitation inside mainland China. If you wish to create a business social media account inside mainland you will require a Chinese business. *** Running software for a Chinese business within China will require the Chinese customer to obtain ICP certification. **** Only required if your software is trading on-line. The internet in mainland China is monitored for inappropriate use. Your internet content is monitored inside China regardless of where it is published and on what platform / service. The monitoring of content is prioritised based on the use in mainland China and throughout the world. An internet content with only few visitors will not normally attract attention. If you have an ICP license, in addition to ongoing reviews, all your internet content will be reviewed each time new domains / IP addresses are added your license. The rule and regulations are updated regularly to take account of the changing use of the internet and the new services offered. Most of the updates are there to protect the internet users from poor / misleading internet practices. Publishing misinformed information. e.g. the reporting an earthquake when it has not happened. Incorrect use / missing ICP certification. While many overseas commentators believe the Chinese monitoring of the internet is suppressive, most of the controls are there to protect the internet user. Many political comments are allowed, e.g. green issues, local corruption. The overseas internet contents will be reviewed from time to time and if not appropriate for the Chinese internet then the IP address will be closed. If an overseas platform allows the Chinese authorities to “take down” inappropriate contents for Chinese internet then the platform could remain accessible in China. Most / all international platforms do not allow Chinese authorities to request international contents to be removed for the Chinese internet and therefore one inappropriate content means the overseas platform access in China is blocked. Overseas companies not agreeing to this censorship has resulted in platform services being developed in the China which has allowed Baidu, Alibaba and Tencent to dominate the Chinese internet.